Most of us have an idea about what “church” is supposed to be. We’ve attended different churches, grown up in different traditions, and participated in classes, programs, and ministries. Some have literally grown up in the “church”, while others have only observed the church on holidays and special occasions. Regardless, almost everyone has an idea of what “church” is supposed to be like. What if you have no experience with what we call church? What if you didn’t have any baggage from past experiences? What if you had no preconceived notions, and no wrong ideas or bad examples of the “church?” What if you started fresh and decided to find out exactly what the church was supposed to be? Where would you turn? The books of Acts is the purest picture that we have of the church. In Acts, it functions as it was intended to function. Over the next couple of months, we are going to pretend that all we know about the church is what the book of Acts tells us. We will leave behind all the stereotupes and our experiences, and follow that first group of believers as they changed the world. 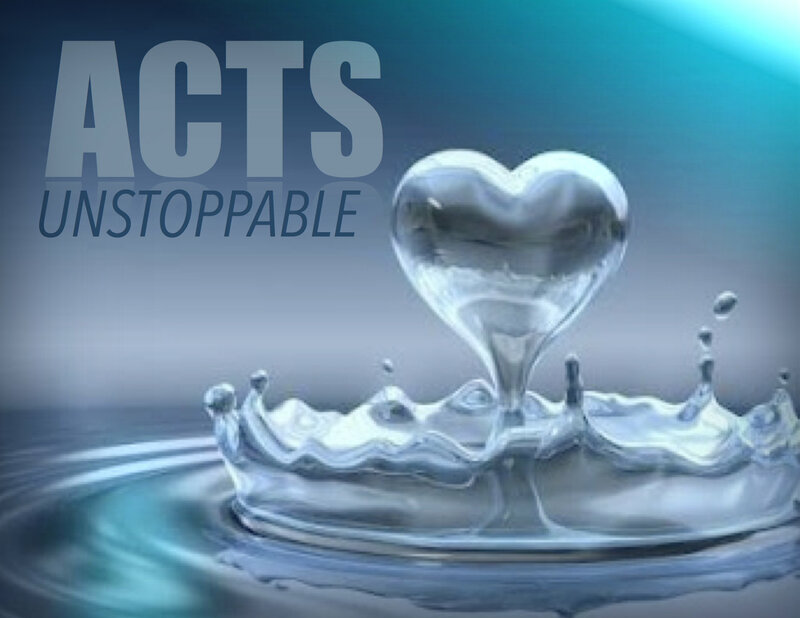 in fact, we’re going to find out that the church in the book of Acts was unstoppable. What would happen if we decided to be the church as it was in the book of Acts? What would happen if we lived the way they lived? What would happen if we relied on God, and His mission became our mission? As we journey through the book of Acts, let’s pray together to leave behind preconceived notions of the church, and be the unstoppable messenger of the gospel we are called to be!